community. See the current newsletter for a list of events and locations. spinners, dyers, basket makers, felters, knitters, crocheters and many other fiber artists. 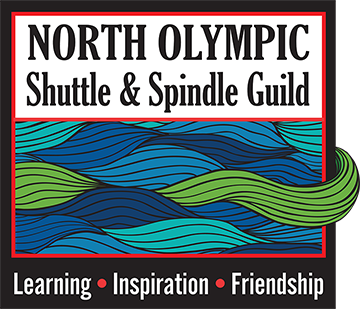 Come meet talented folks in our community, learn more about local fiber resources, and discover what will be happening at the North Olympic Fiber Arts Festival this October in Sequim, the Shepherd's Festival in May and the Clallam County Fair in August.